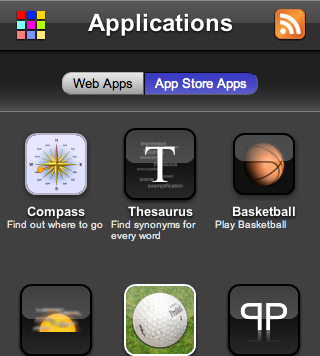 Find out about all mobile apps. WMF2Viewer - The library for displaying Windows metafiles. See the example Java applet. WMFViewer - The WMF viewer application for mobile phones. Here you can find my popular basketball game. It's pretty simple but addictive. 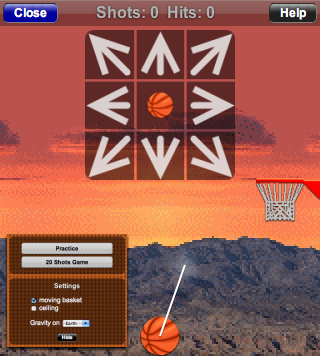 The goal of the game is to shoot the ball into the basket by controlling the balls direction and speed. Stay on top of the heap and have all relevant information for the moment in one view. 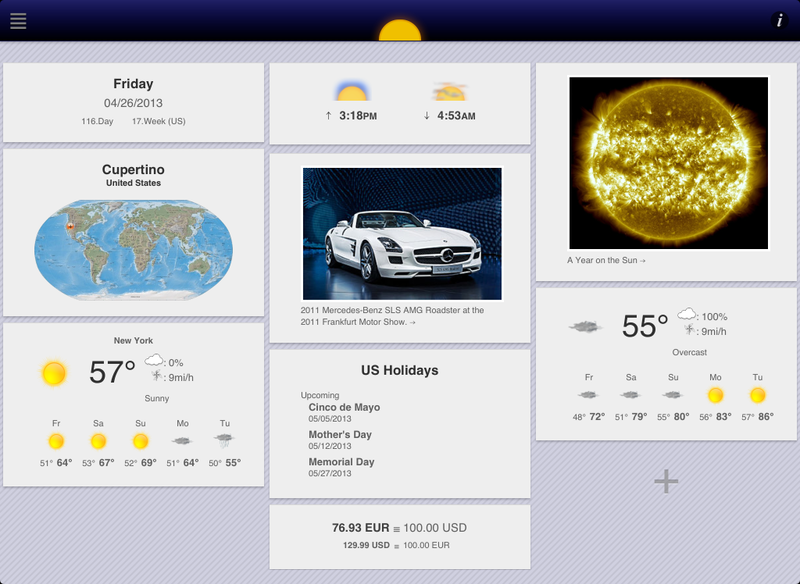 Customize your ≡Heaptop info board by adding different widgets for time, calendar, location and much more. Please check the iPhone version in the App Store as well. On SpeedyMarks you can create visual bookmarks for your favourite websites. It is insprired by Operas Speed Dial feature and uses thumbnails from WebSnapr. This makes it the perfect startpage for your browser. The background color and size of the speedymarks can be changed. You can add a button to your website to make the addition to SpeedyMarks very easy. Please check the iPhone version iPhoneMarks as well. Counters for a specific date and time. These counters can be repeated daily, weekly, monthy or yearly which advance automatically when the alert goes off. They are perfect for reminders on single events, lunchbreaks, weekends, paying your monthly bills or birthdays and holidays. Please check the iPhone version (http://m.countdownr.com) as well. On WorldClockr you can create your personal collection of world clocks. The clocks show an animated sky background sepending on the local sunrise and sunset times depending on the selected location and timezone. You can add your own clock to your web site or put a link to WorldClockr with your favourite location. Examples can be seen on top of this page. Please check the iPhone version (http://m.worldclockr.com) as well. 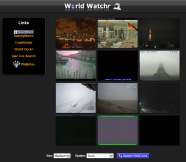 On WorldWatchr you can manage your personal collection of Webcams and other images. Now you can stay in touch with your home, famous places of the world, the current traffic conditions and much more by watching your favorite web cameras. This WorldWatchr application makes it easy to monitor web images which are continuously updated (like web cam pictures). It can cycle through all your cams and updates the images periodically. The images don't have to be produced by web cameras. You can monitor any image which is updated over time like weather radars, traffic maps and so on. Please check the iPhone version (http://m.worldwatchr.com) as well. The Ajax Live Search page uses the Google Ajax Search API and HTML frames to create a more convenient search experience than traditional search frontends. Features include search while you type, open search results in a separate frame, keep search results and a search word history. Do you look for a personal and unique gift for your friends or beloved ones on Christmas or birthdays? 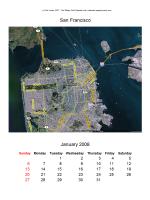 What about a wall calendars made out of Google Maps? GMaps Wall Calendar makes it easy to create the calendar sheets. The JSF FormBuilder is a free Java Swing application for creating forms for the Java Server Faces (JSF) library. It kick starts JSF projects by creating and managing all necessary files and makes adding new forms to an existing project a matter of seconds. Starting from scratch or modifying the generated form is easy and fast. This is a simple tutorial example of a driven dissipative dynamical system, which exhibits a period doubling route to chaos. I investigated this system back in 1991 as part of a practical training at university. Make sure you don't miss the animated attractor. 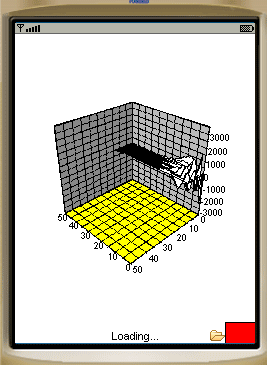 This is a little Java applet to calculate a model equation for a class of nonlinear dynamic systems - the one dimensional complex Ginzburg-Landau equation. The solution of this equation shows several interesting phenomena like pattern formation, chaotic and intermittend behaviour. This is the result one of my very first projects. I wrote a simple raytracer in Turbo Pascal because I wanted to look into object oriented programming. Back in the early 90ies it took me over a week to render the images for this little animation. This is the homepage of Piet Jonas.